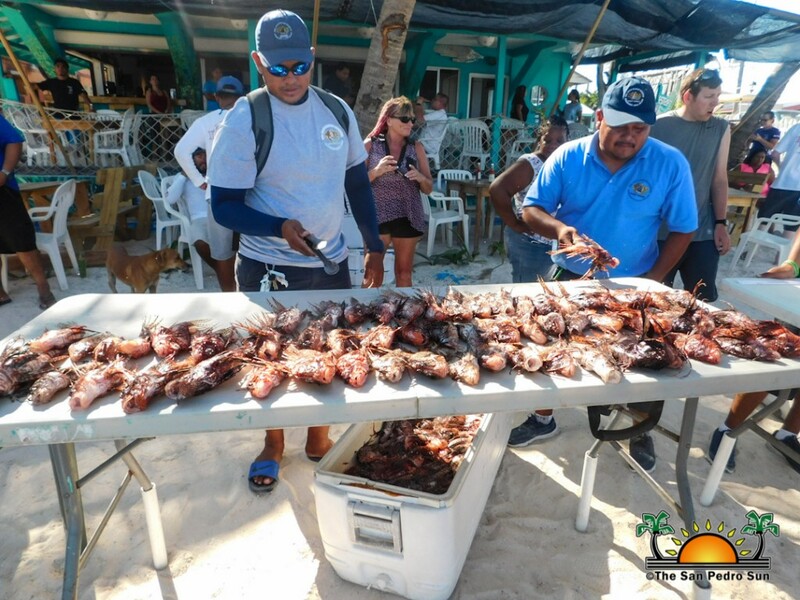 As part of the Hol Chan Marine Reserve Reef Week 2018 a Lionfish Tournament was hosted at Estel’s Dine by the Sea on Friday, May 11th. The tournament is meant to raise awareness of the invasive species that poses a major threat to marine life. 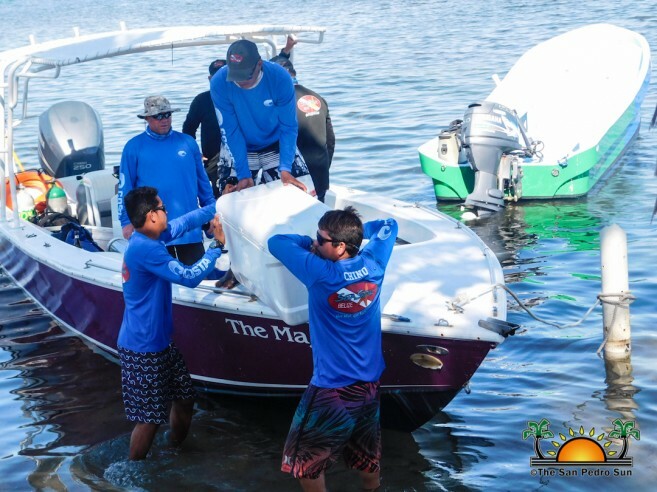 Teams competing for the grand prize were French Angel, Amigos Del Mar Dive Shop, The Dive Bar, Team Bradley, Ramon’s Village, and Sea Star Belize. Around 7AM, boats headed out to sea fully equipped to catch as many lionfish as they could and hoping to claim one of the fabulous tournament prizes. After approximately eight hours at sea, teams began returning with their ice boxes full of lionfish, ready to weigh and count. A large crowd gathered at the scale to view the huge amounts of fish caught. 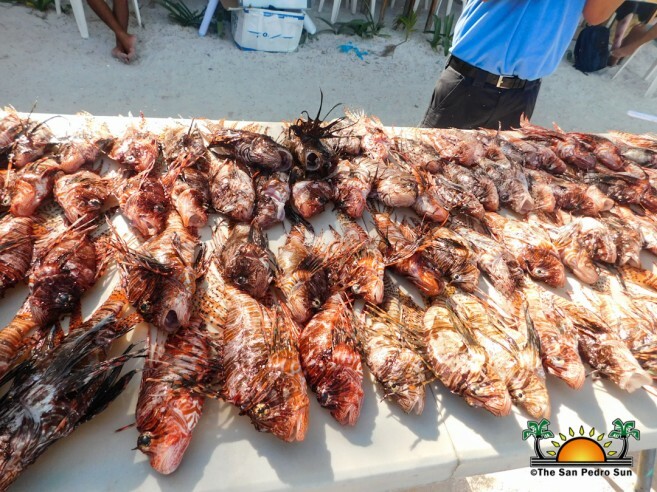 Out of the total 901 lionfish caught, the smallest was only five centimeters and the largest 40 centimeters. When all the catch had been counted and weighed, the respective winners were announced. 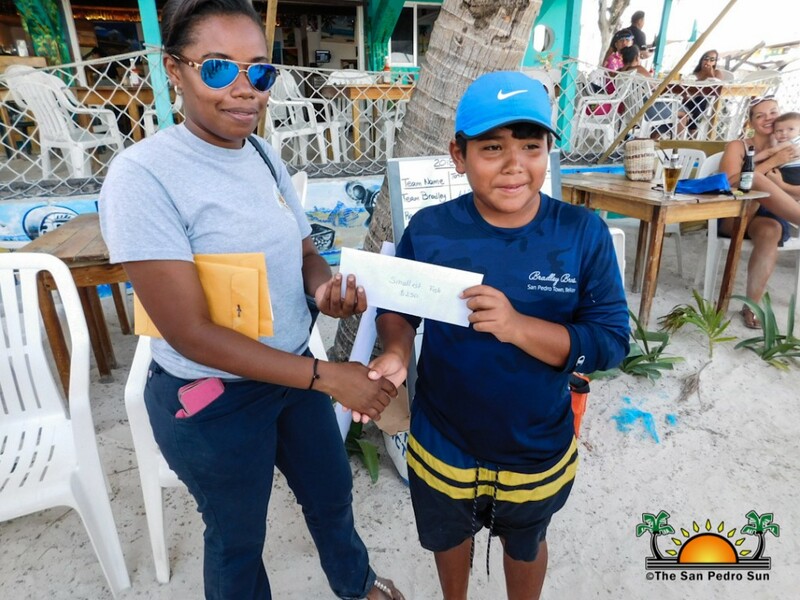 First place went to Amigos Del Mar Dive Shop, who caught a total of 415 fish, thus winning the grand cash prize of $1000 dollars. 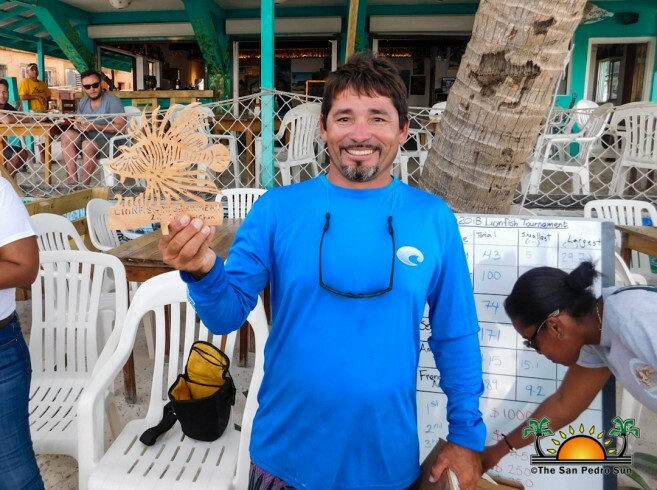 Second place went to Sea Star Belize, who caught 171 lionfish and won $700 dollars. 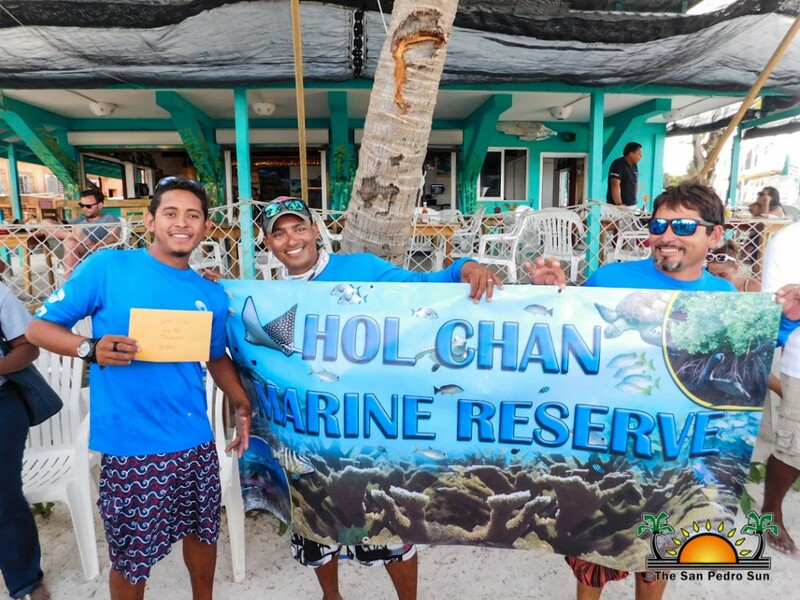 Ramon’s Village took third place for catching 100 lionfish, and they won $450 dollars. 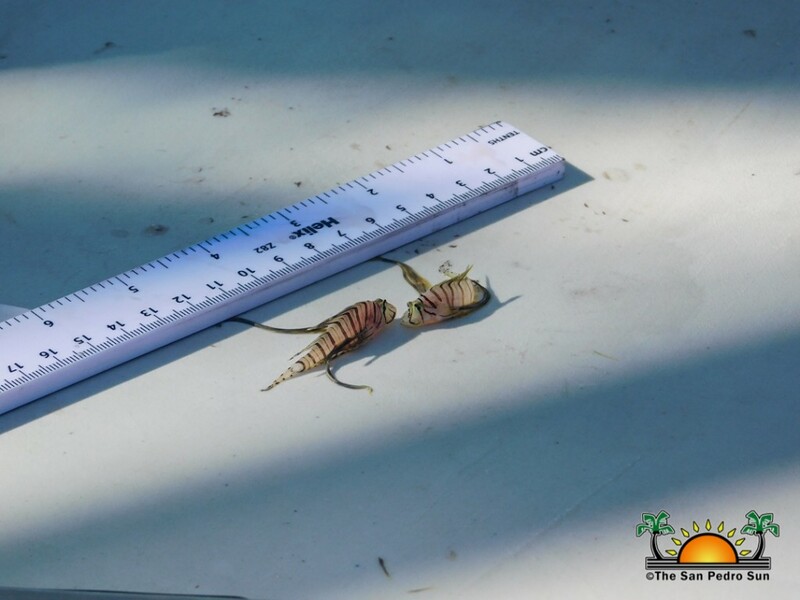 In addition to the top three team awards, the prize for “Smallest Lionfish” went to Team Bradley for their five-centimeter lionfish. 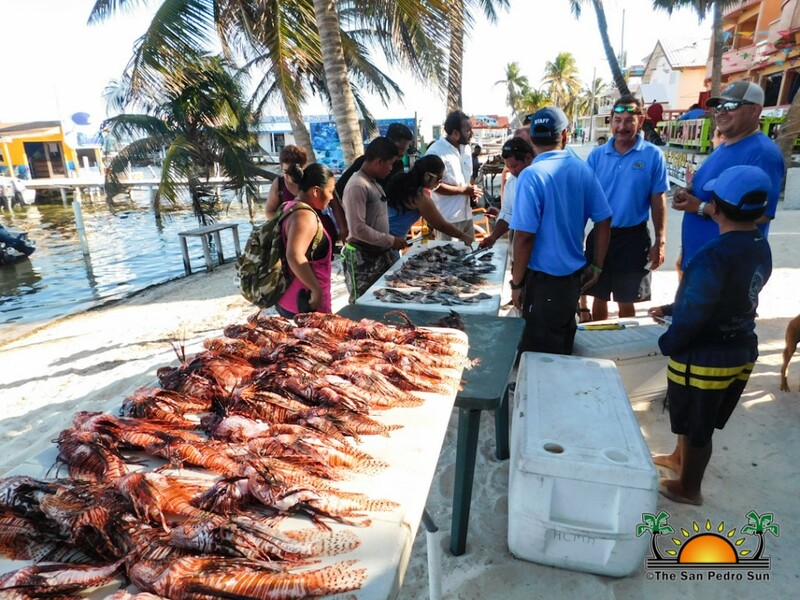 The prize for the “Largest Lionfish” went to Ramon’s Village, for their 40-centimeter fish. 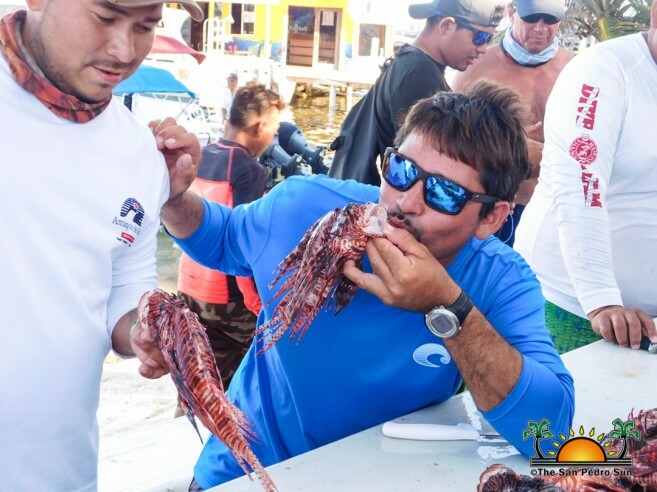 In addition to the tournament, Hol Chan Marine Reserve also organized a lionfish filleting contest, six persons were tasked to fillet as many fish as they could in 10 minutes. Manager of Hol Chan Marine Reserve Miguel Alamilla was tasked to inspect the fillets, to ensure it was restaurant quality, with no bones and skin. 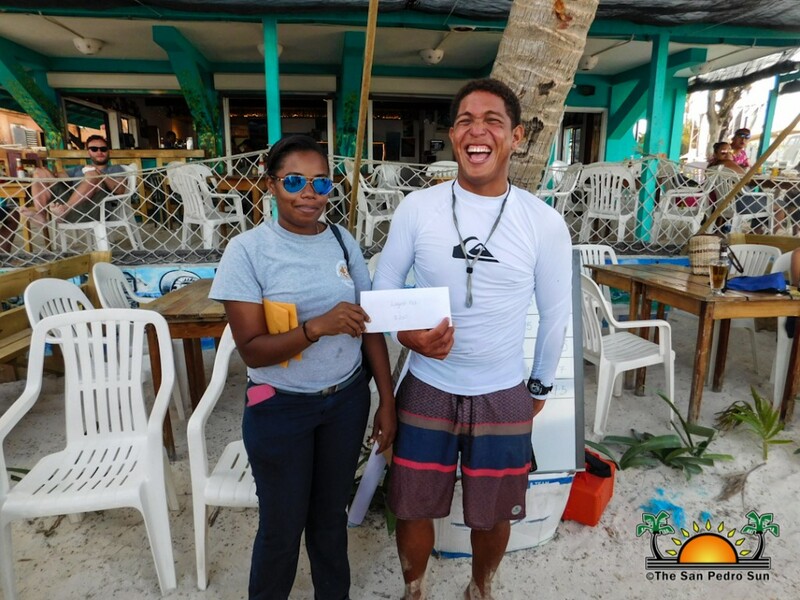 After the inspection and counting, Jose Jaime Vasquez from Sea Star Belize was declared the winner. 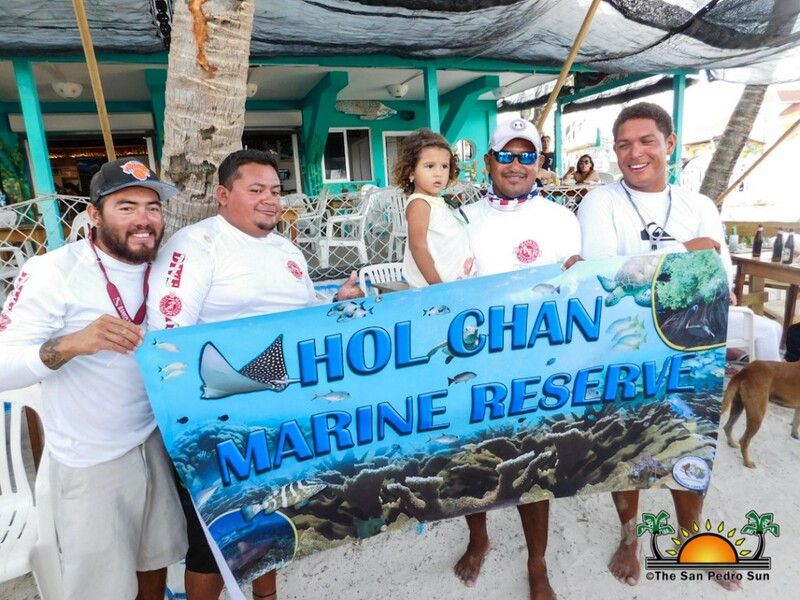 According to Mariela Archer, organizer of the event, the tournament is one the most important activities during the Reef Week. 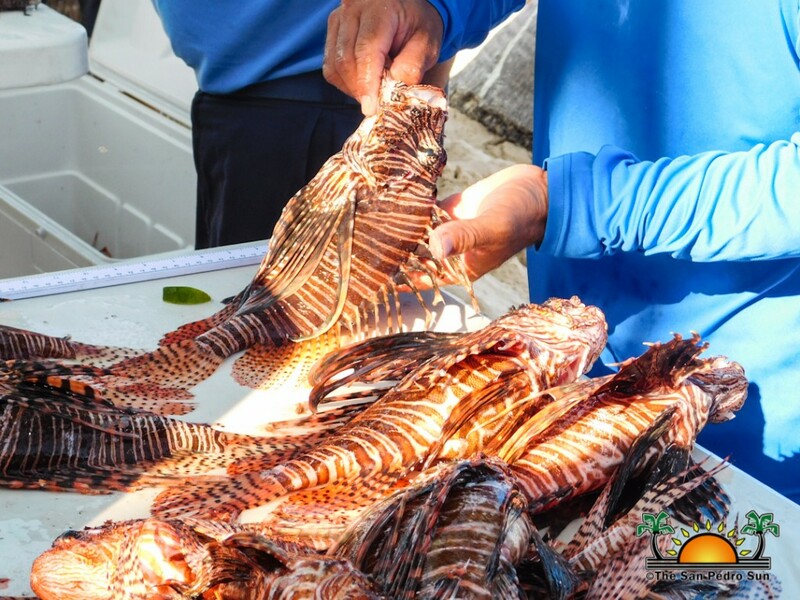 “These tournaments help in reducing the number of lionfish in the ocean. This year’s turnout was better, almost double the amount from last year was caught,” said Archer. 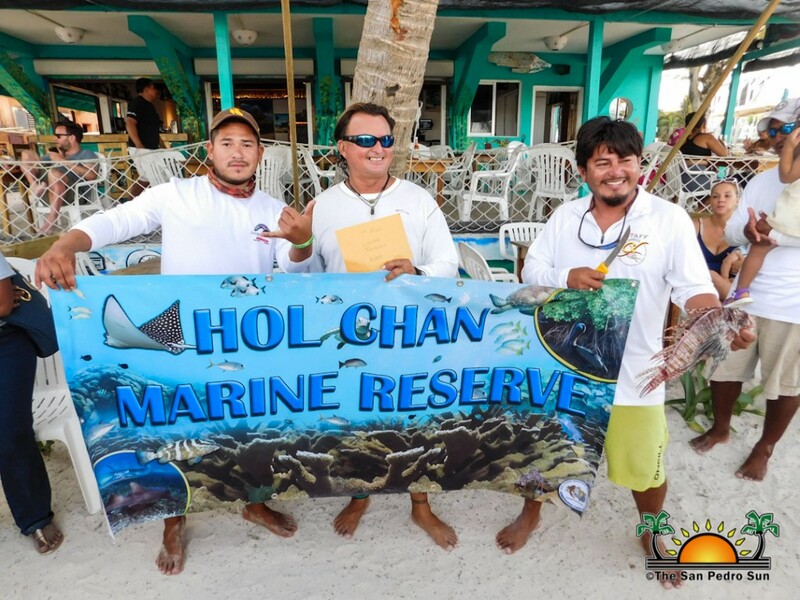 Hol Chan Marine Reserve thanks everyone for their continued participation in the Lionfish Tournament. 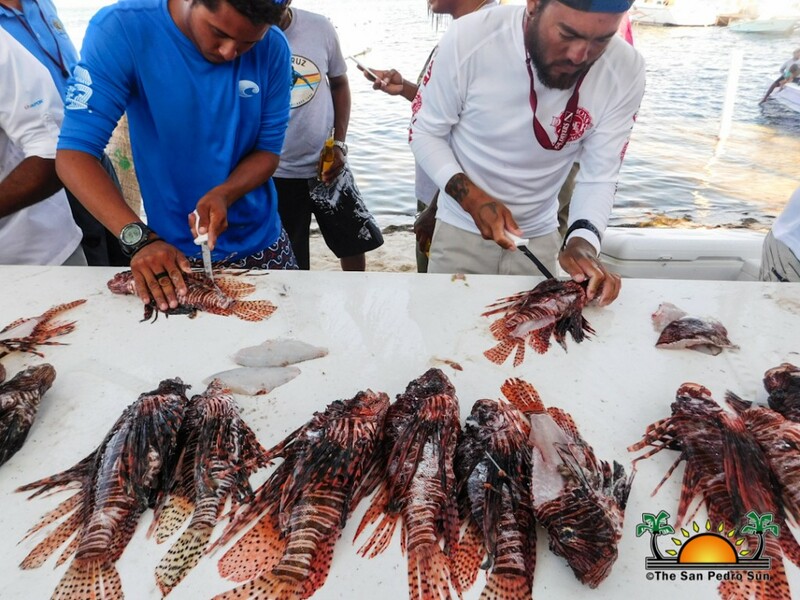 They further encourage all boat operators, tour guides, and divers to continue to kill (and consume) lionfish to reduce the population.